The CPI(M)-led LDF government in Kerala and the Congress-led UDF today attacked the Centre for the ban on the sale and purchase of cattle for slaughter. Chief Minister Pinarayi Vijayan said the Centres decision was "surprising" which was unsuitable for a democratic nation. "It is not right that a government decides the choice of food of the people. With this decision, the Centre is destroying a sector which employees thousands of people," Vijayan said in a strong reaction to the Union governments decision. The notification was part of Centres attempt to implement "RSS agenda". The Centre should have consulted with the states and sought their opinion before coming with the notification, Vijayan said in a statement here. While state Finance Minister Thomas Isaac said the decision was illogical and the state would introspect what it could do legally, Local Administration Minister K T Jaleel and Agriculture Minister V S Sunil Kumar felt it was an infringement on the powers of the state and the decision cannot be accepted. "This was a state subject and the Centre cannot infringe on the states rights", Jaleel told reporters here. Sunil Kumar said the notification was a challenge to the countrys federal system. India is a democratic nation and the centres decision to impose the ban without consulting the states amounted to violation of the federal system, he said. Animal Husbandry Minister K Raju opined that the decision will destroy the federal structure and will have far reaching consequences. CPI(M) state secretary, Kodiyeri Balakrishnan said in his Facebook post that the government led by Narendra Modi, who was an RSS Pracharak, has come out with the notification at a time when the country was all set to celebrate Ramzan. Echoing similar sentiments, Opposition leader in the assembly Ramesh Chennithala said the ban was an attempt to usurp the human rights of citizens. "The Modi Governments effort from the beginning was to curb the constitutional rights and the ban was the latest example of the alleged fascist moves of the government," he said. KPCC President M M Hassan also criticised the decision saying it was against the Constitution and encroachment on the fundamental rights of the citizens. The notification banning cattle trade for meat was unconstitutional and violation of federal principles, Dr Varughese George, National General Secretary of Janata Dal(U). However, Justifying the Centres decision, BJP state president Kummanam Rajasekharan, blamed the media for "distorting" the notification. 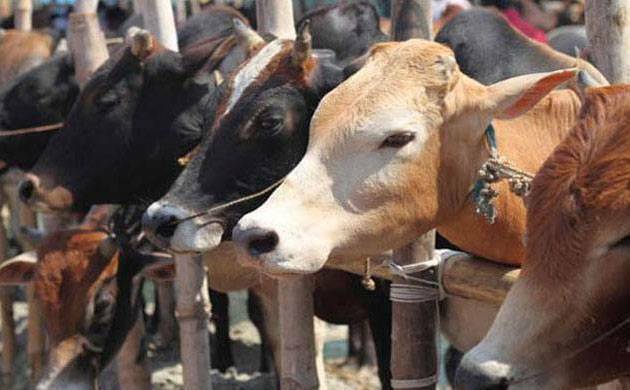 The notification had only restricted the sale of animals for slaughter which were used for agricultural purposes, he said attributing "political motives" on the part of media in hiding.